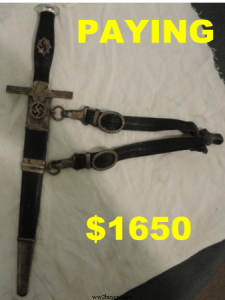 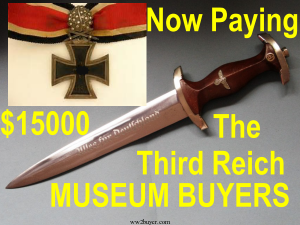 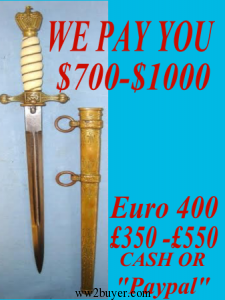 Broadly speaking Any Nazi Dagger In Good Condition has a minimum value of $500 =£300 . 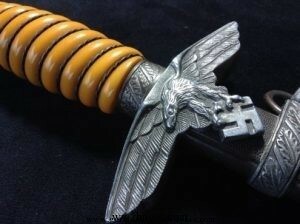 The most frequently encountered German WW2 Dagger are the .S.A . (Brown Shirts ) Dagger , The Second Pattern Luftwaffe Dagger followed closely by the The Heer or Army Dagger. 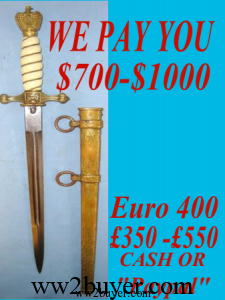 These are entry level daggers for the collector and range in price from $500- $1000 with the exception of those which are personalised or have Damascus blades. Most German Daggers were produced in the town of Solingen . 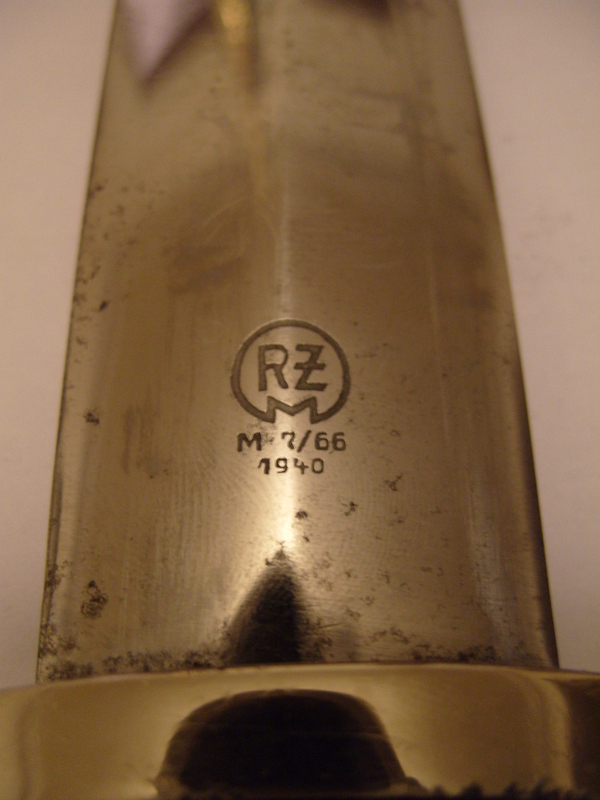 Hundreds of different variations of maker marks (Trade marks can be found on the blades of Nazi daggers to include the RZM stamps on “Political Daggers” being Hitler youth Knives , S.A.and S.S. Shutzstaffel (Protection Squadron) Daggers. 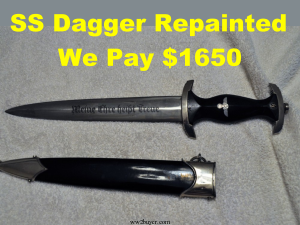 The Prices for standard 1933 pattern SS daggers range from $1500 -$6000 ..
Standard SA daggers $400-$700 providing the condition is good.. 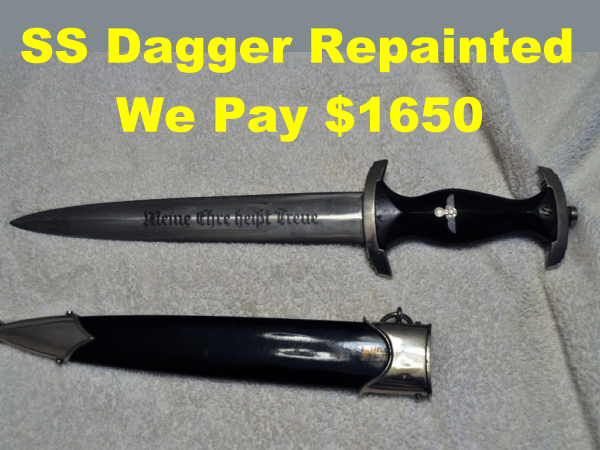 Exotic Daggers can command $60,000.